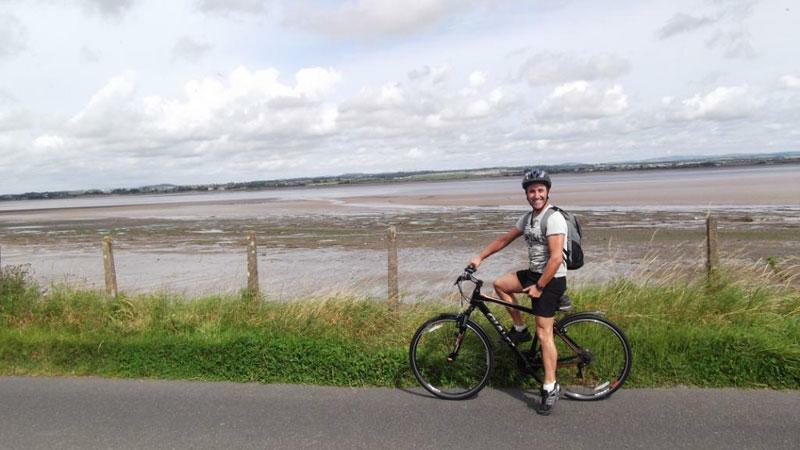 Begin in Bowness-on-Solway, an Area of Outstanding Beauty on the Solway Firth, the route then heads through the heart of Hadrian’s Wall Country and finally reaches Tynemouth on the East Coast. Enjoy the freedom of biking on quiet roads and traffic free cycle paths as you explore these beautiful landscapes. We offer two options, longer and shorter versions of the same itinerary. This is a general stage by stage guide. For all the available day by day itineraries, please see the options on the right. Arrive Newcastle and check in to your guest house, the rest of the day is yours to explore the sights of Newcastle. After breakfast, a transfer brings you to Bowness-on-Solway to begin your cycle (an approximate 1 hour and 30 min drive). Bowness is an area of outstanding beauty and many species of birdlife can be seen around this spectacular area. The days cycling starts off very gently along the Solway Firth before reaching Carlisle and then undulating in to Brampton which is a pretty little market town. 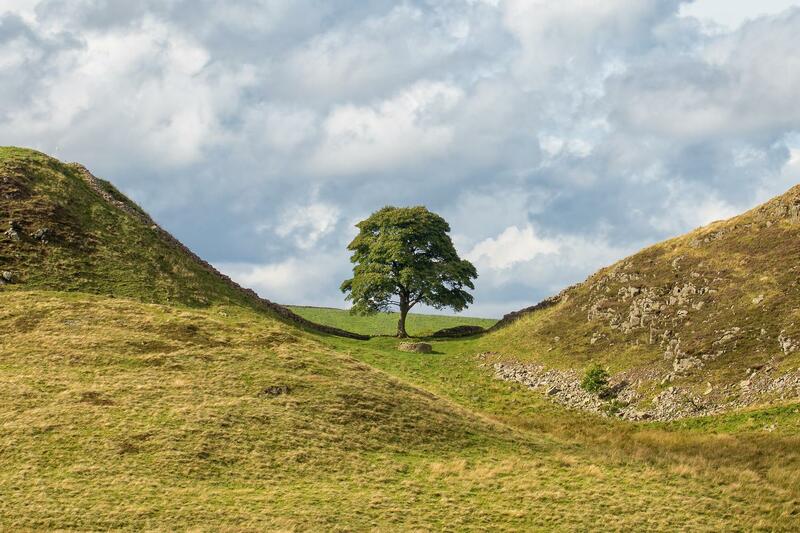 From Brampton you head north up past Banks and Birdoswald where you'll see some well- preserved sections of Hadrian’s Wall. It is well worth diverting from the main route here to view these preserved sections, if you have the time. A long descent into Haltwhistle follows and then you climb north coming off the cycleway at the summit of Smith's shield. Tonight sample a local beer in Once Brewed at the Twice Brewed Inn! Several important Roman sites along Hadrian’s wall are passed on this section and the cycle down to Vindolanda is exceptional. A slight detour towards Housesteads provides outstanding views over the area. Next climb up to Crindledykes which is the highest point on the route (263 metres above sea level) before heading past Hexham and reaching the quaint village of Corbridge for your overnight stay. The final section of the cycleway follows the banks of the River Tyne as you head east. The path soon heads into the western suburbs of Newcastle and follows the purpose built cyclepath. It follows the quayside through the city centre and you can catch a glimpse of the Millennium Bridge. The river widens as you reach Wallsend which is the starting point of the Hadrian’s Wall walking path and finally you head up to Tynemouth where your cycle finishes. We will arrange a time to meet you and pick you up and take you back into Newcastle for your overnight stay. One of the highlights of this tour is the high standard of the accommodation. We specifically choose the hotels, inns, guesthouses and B&B’s to ensure that you enjoy every minute of your stay. All offer a warm welcome to cyclists, with cycle storage, traditional hospitality and delicious local food. This independent cycling holiday is available to solo cyclists but a supplement will apply for the extra costs incurred in transferring 1 bike. A hearty breakfast is included each morning. Lunch and dinner are not included so you're free to choose from the available options. Most of your accommodations will more than happy to provide a packed lunch on request and this can be booked on arrival. Dinner is available either at your accommodation or nearby pubs and restaurants and your guide book will have these details. Hotel Indigo Newcastle is a four-star boutique hotel in the heart of the city, heavily influenced by its location within the historic Grainger Town area. The hotel is situated less than a five minute walk from Newcastle central train station, with onsite parking (fees apply). Oakwood is an imposing Victorian house built in 1861, standing in its own grounds, surrounded by countryside of outstanding beauty. They also offer delicious evening meals from an extensive menu. 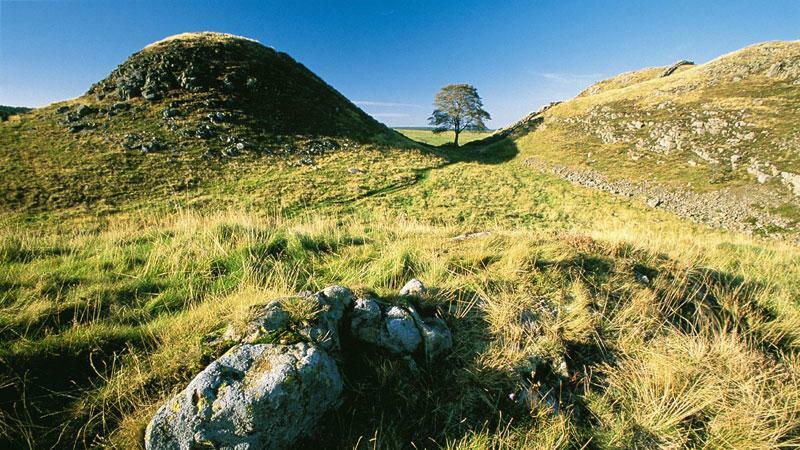 Saughy Rigg Farm is an ideal base for a walking or cycling holiday on Hadrian`s Wall National Trail. 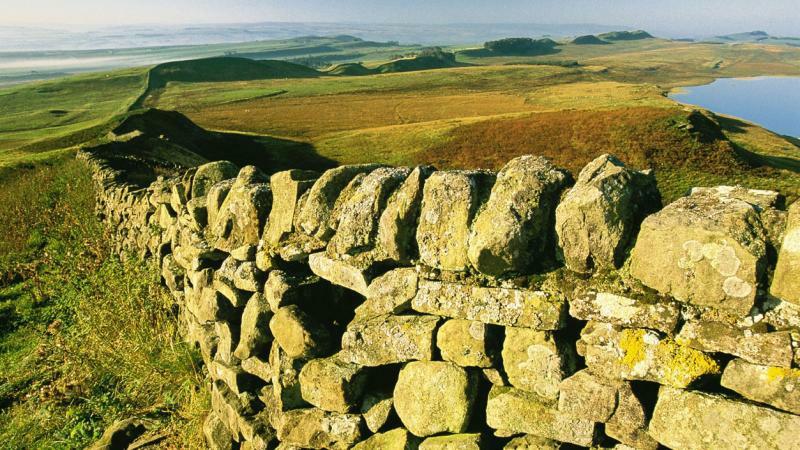 Magnificently situated about half a mile north of Hadrian's Wall within Northumberland's beautiful National Park, the wall can be seen from the farm. Fellcroft is a family run B&B located in a large Edwardian House which has been sympathetically refurbished. They offer a very warm welcome to all walkers and cyclists. This trip is available to start on any day between early March and late September. 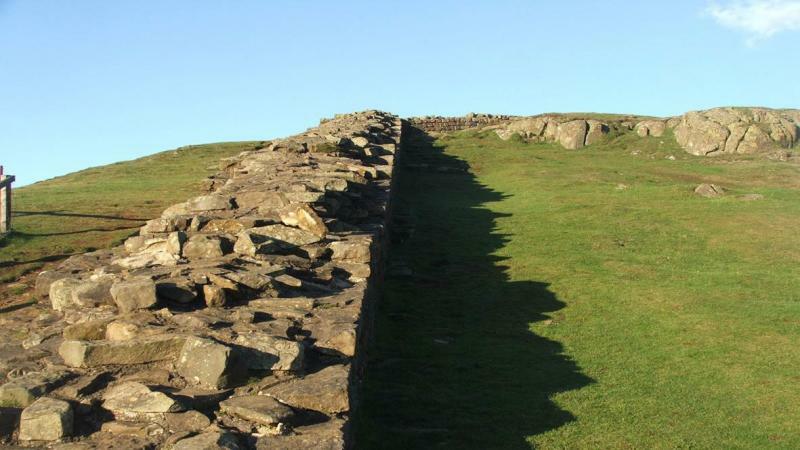 The Hadrian's Cycleway has traditionally been most popular in the spring, because the theory goes that the weather is better. However any time between early March adn late September offers a wonderful experience. Later on in the spring would perhaps be a bit drier however. This cycle is graded moderate to strenuous and you will be cycling along quiet roads, and National Cycle Network routes. The routes are easy to follow and well-marked as it is part of a National Cycle Network. You will be provided with a map and a guidebook. Bike hire is available as an optional extra. Good-quality hybrid bikes are available. 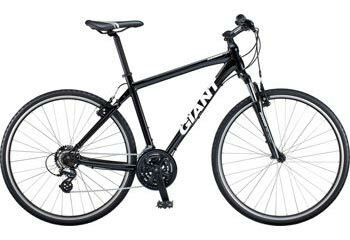 The bikes avaialble for rental are Giant Roam Hybrid Bikes and bike specifications are available in your information pack. All rentals include a rear luggage rack and panniers (please ask if you want these to be inlcuded), a helmet, a lock, a pump, 2 spare inner tubes, puncture repair kit and multi-tool, water bottle holder, and a handle bar bag. The distances and ascent/descents are approximations of the recommended routes. Please be prepared by packing all necessary items, for example, proper rain gear (jacket and pants), sun hat, sunscreen. Your information pack has a detailed equipment list which includes standard cycling gear such as warm and waterproof clothes for the cooler months and lightweight clothing for summer. By Air and train: The most convenient international airports to arrive into are Newcastle and Manchester. There a trains from Newcastle Airport to the city centre every 12 minutes and the journey takes approximately 25 minutes. There is also regular train service between Manchester Airport and Newcastle city centre (approx. 3 hours).Please check train times and schedules on the National Rail website. By Car - Newcastle is a 5 hour drive from London and a 3 hour drive from Manchester. Parking can be very busy in the summer months, so public transport is the best option. B&B, guesthouse and country hotel accommodation including breakfast in twin/double en-suite rooms. Transfers back from Tynemouth to Newcastle Hotel, station or airport. A detailed info pack and route map for the group leader. Extra nights before, after or during your cycle. 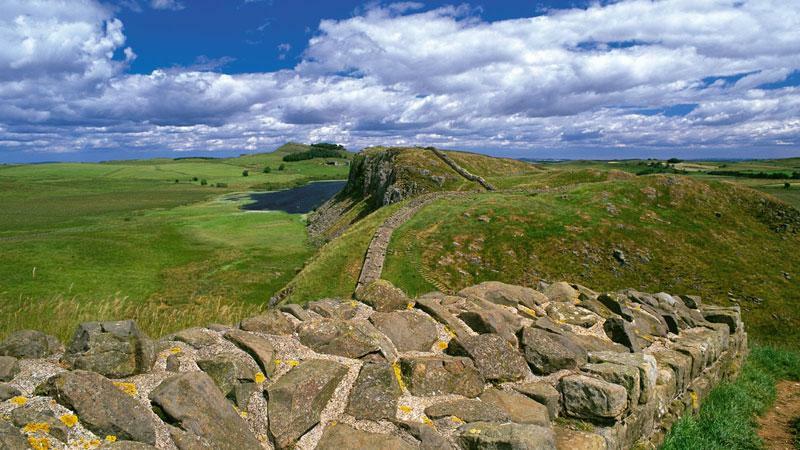 We suggest you book as soon as your plans are finalised as Hadrian's Wall Cycleway is extremely popular especially over April/May and July/August. You will find up to date availability on our website, and we will always try and accommodate your plans. We offer two itineraries so you can choose your preferred daily distance so hopefully, you will find an itinerary that suits your preferred level of activity. If you currently don’t enjoy an active lifestyle, we suggest regular cycling in hilly terrain supplemented by cardiovascular exercise for at least six months before your cycle. A good gym or personal trainer will be able to draw up a personalised training programme. You can use public transport, the Hadrian's Wall bus or local taxis to continue to your next overnight stop. The Hadrian's Wall bus can take bikes, but these must be booked on in advance. Great scenery. Fantastic accomodation. Newcastle is a really interesting place to visit. We had a great ride. The driver Ian from Peddle Power couldn't do enough for us and the luggage was always at our accommodation when we arrived. 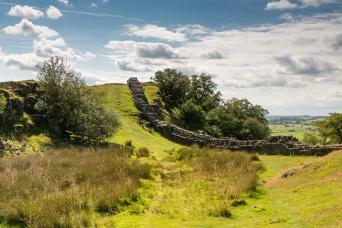 Our Hadrian's Wall cycling trip was fabulous. Accommodations were good, all with a nice breakfast. No issues with luggage or the bikes. There were a few areas where the map could have been a little more detailed. The Route 72 signs can be easily missed if you not paying attention. Due to flooding a few weeks before our trip, some bridges were out and we had to found our own alternate routes. Thankfully, this occurred while in cities so residents were very helpful. Very enjoyable, well-signed cycle route, smoothly organised bike hire and bag transfer. We did this ride purely for tourism and are not regular cyclists. The relatively short riding times each day were great for us as we were able to stop at historical sites along the way (eg. Carlisle castle, Vindolanda) and meant that walking our bikes through the small towns or up a few hills didn't put us behind schedule. It was very tiring without a high level of fitness, but satisfying and definitely do-able if your take your time. I would recommend checking your exact route each day to make sure you don't miss any points of interest, as following the cycleway the whole time misses a couple of interesting spots. My husband and I love cycling but had been on a non cycling holiday for 10 weeks when we did this, so not as fit as we would have liked to be but loved it. A couple of the hills were tough but in general it wasn't a difficult ride. Accommodation and bag transfer were very good. I felt the rides were on the short side for me. I normally do 40 to 50 miles and these were a little over 30. Even with a break to look at museums I was arriving at my destination by 3 pm. I would have preferred either to make the total distance slightly longer or do the same distance over 2 days. BTW, the link in the email gave the wrong holiday - should be 5 days, 4 nights. It was fun trip, great experience, loved the Cycleway network - very well marked, exciting to ride in UK. Route's easy to ride, tons of historical sites to stop by to see, beautiful countryside. Well organized trip, definitely worth doing this again through Macadventures, but somewhere else. Of all the hotels/b&b, the one in Gilsland - Brookside Villa was the best. 4th floor room in Premier In - Newcastle was a bit old, and dingy otherwise, we were happy with all of our accommodation. The B&Bs were spectacular, great food and service great beds! The subcontracted bag mover / bike handler called Pedal Power was personable and super concerned about my trip too! I loved. Great trip, well organised and gorgeous scenery. We shortened this trip which was no problem to Mac's. They were very efficient, the accommodation was very good and the Pedal Power company were brilliant and went beyond their remit by picking us up in a pub at the end of the trip in Whitley Bay. I would like to do this again! Everything was just great; the transport from Newcastle to Bowness-on-Solway, the bikerental and the bikes, the route, the map and descriptions, the landscape and the people. And the accommodations, of course! This amazing cycling holiday passes through some outstanding countryside with coastal views that will astound. 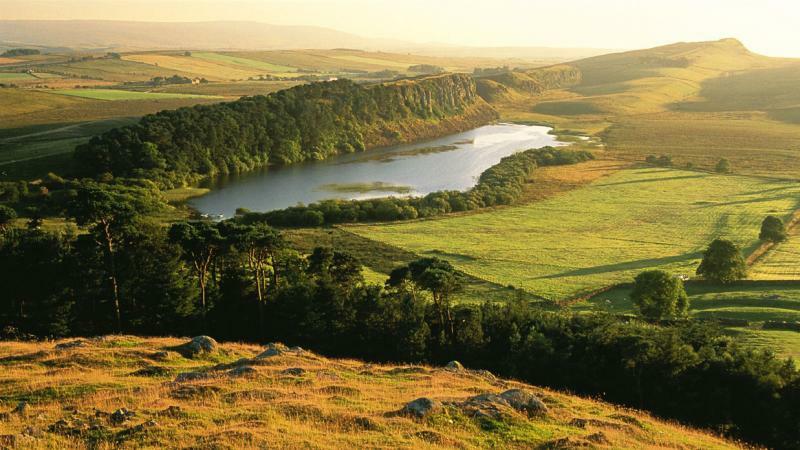 The cycling will take you past peaceful river valleys into history rich Hadrian's Wall Country.